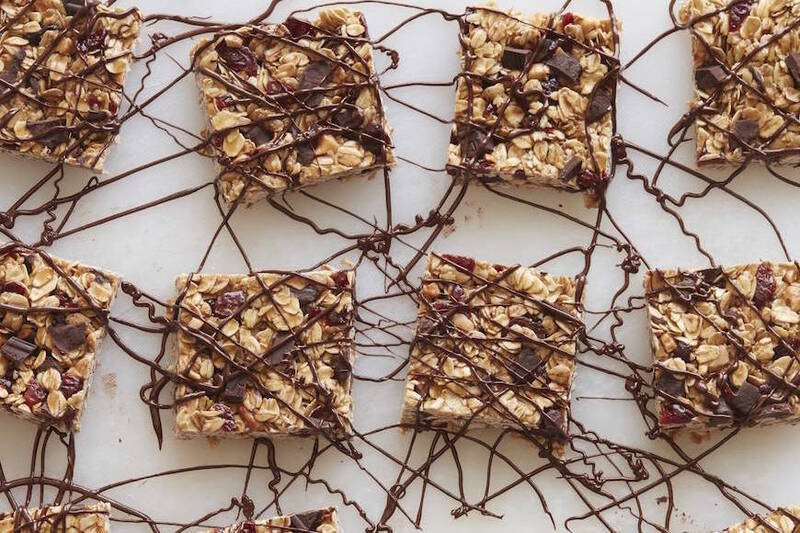 Things are about to get super sweet around here. 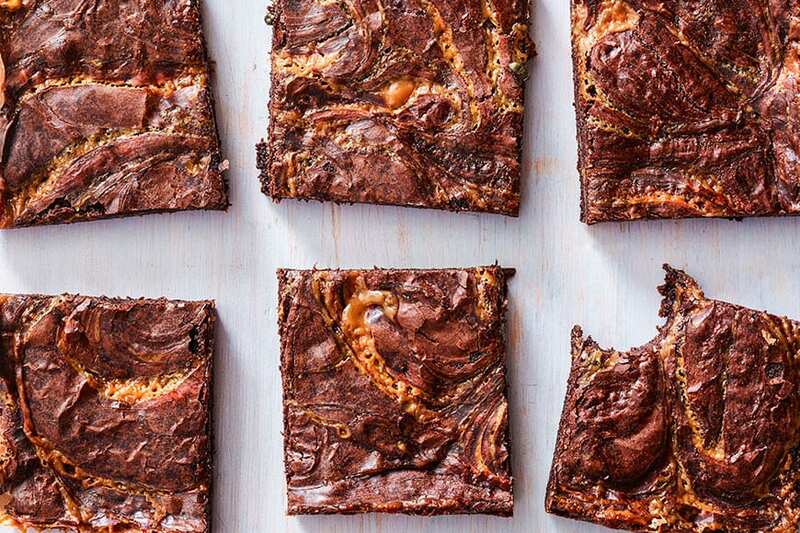 I’m talking Caramel Brownies loaded with the most epic caramel swirl, plenty of chocolate chips and a brownie base that is going to change the game. A word of caution… these are decadent. 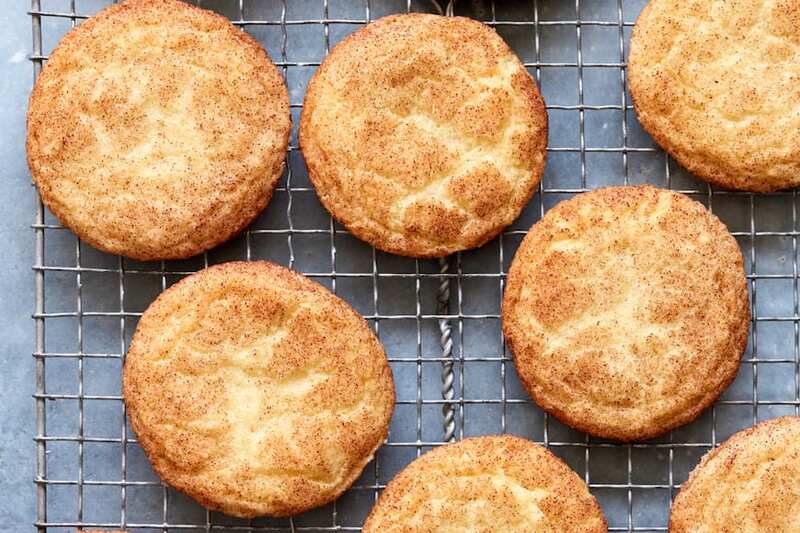 So decadent that you’ll have a hard time putting them away after a few bites. Full disclosure: I take no responsibility if you wind up in front of the TV with a pan of Caramel Brownies and a spoon while watching a marathon of the Real Housewives of wherever. It’s been known to happen so I’m just giving you a heads up. 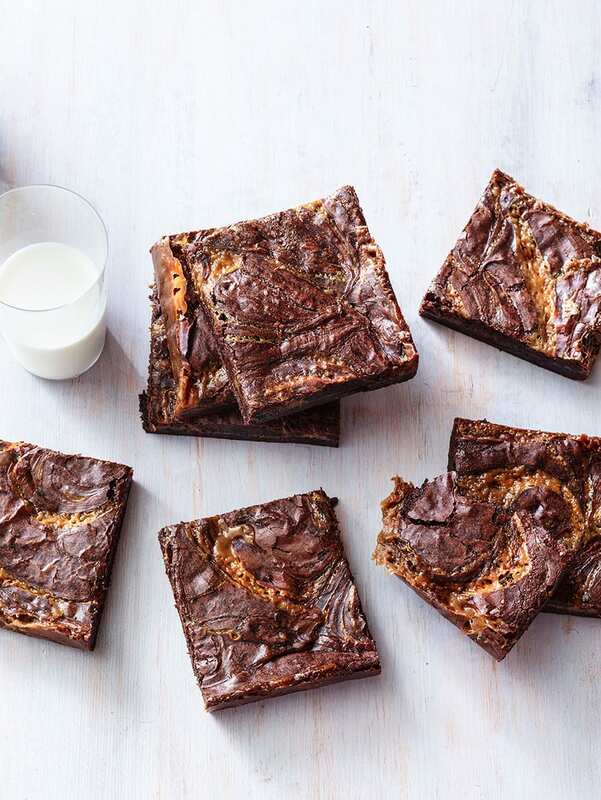 Self control + Caramel Brownies… it’s just not possible. In a small pot combine the peeled caramels and evaporated milk. Heat over medium heat and stir until all caramels are melted. Preheat oven to 350 degrees. Spray and line a 9x9 baking tin with parchment. In a pot over medium heat, combine the butter, sugar, cocoa powder and salt and mix for 2 minutes, remove from heat. Add the vanilla and eggs and combine. Stir in the flour and chocolate chips and set aside. Pour half of the batter into the prepared pan and bake for 10 minutes. After ten minutes, add the caramel sauce on top of the cooked brownie portion and then add the remaining brownie batter on top of the caramel. Using a knife, swirl the top 2 layers together. Place the baking dish back into the oven and bake for 20 minutes. Remove the baking dish from the oven, and let it cool to room temperature before transferring it into the refrigerator for at least 1 hour before serving. 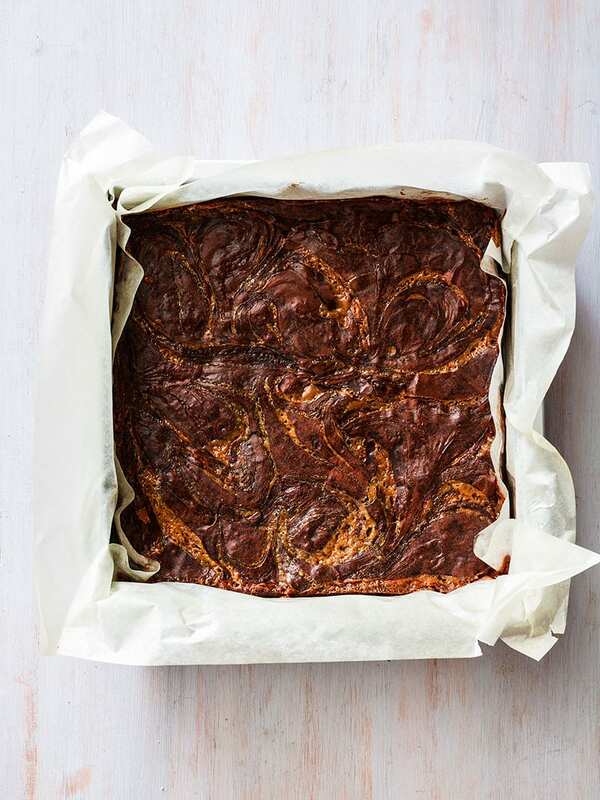 These brownies look great and so moist. Gah! I need a few slices in my life, right now!! Thanks for re-linking these….whoa!! PINNED! ok … drooling over here!! I love this brownie combo! Pinning now! Question on the cook time and what consistency the brownies are supposed to be when they come out of the oven. I’ve nearly doubled the cook time and they’re still not baked. I know the consistency of the batter was correct (fellow chef here!) so I’m wondering about how sof they should be. Thanks! They should be a little soft as they will harden as they cool!! BUt double the baking time seems like there might be something off. Let me know how they turn out and I can help troubleshoot! I haven’t tested it with heavy cream so if you try it, keep us posted! Do i need to refridgerate the leftovers? I usually leave my brownies on counter. Can you please tell me what size pan I should use if I want to double this recipe—9×13?? Thanks! What kind of caramels do you use? the Kraft Caramels in those plastic papers! Do you think I could sub a thick caramel off ice cream topping in place of the caramels and milk? I could only find salted caramels at Whole Foods….should I just omit the salt? 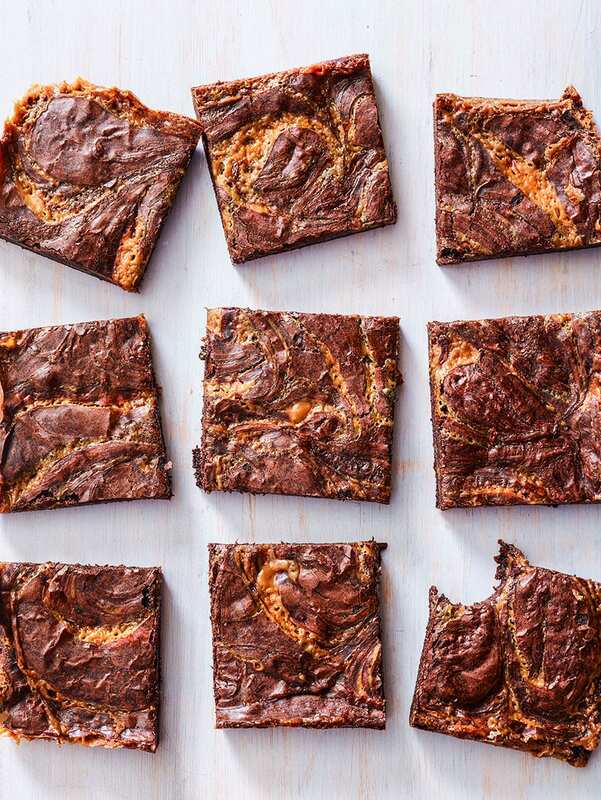 Salted caramel brownies sound pretty awesome but I don’t want them to be too salty of course. Thank you! ya omit the salt and then just add more flaky salt on top at the end if you need it!! Can’t go wrong with these!!! hey girl- these look amazing! yummy! Have a great weekend! Is evaporated milk the same as sweetened condensed milk? Here in Australia many many of our terms are different. no they are different products! I’m confused with this recipe…. how do you not get scrambled eggs when you add them to a hot pot of butter and chocolate? If the butter needed to be softened, shouldn’t it all be creamed together in a mixer as opposed to over the stove? I’m in the process of making, but consistency seems off to me. Am I doing something wrong? Hoping it turns out because they look divine!! you need to whisk the eggs quickly as you add to the melted butter – plus the pot has since been removed from the heat. And as far as creaming vs melting goes, it yields totally different textures in the end and I prefer my way. OMG!!! these brownies are delicious. Accidentally misread recipe and used all of chocolate batter for base, but no one in my family seemed to mind, since they are all gone and I’m making more. Do you have any suggestions for adding chili to the caramel? Measured and prepared the mixture as instructed. Baked as directed and they looked “jiggly” yet so I added another 5-10 for bake time. Let them sit to come to room temperature, and they are still super soft. 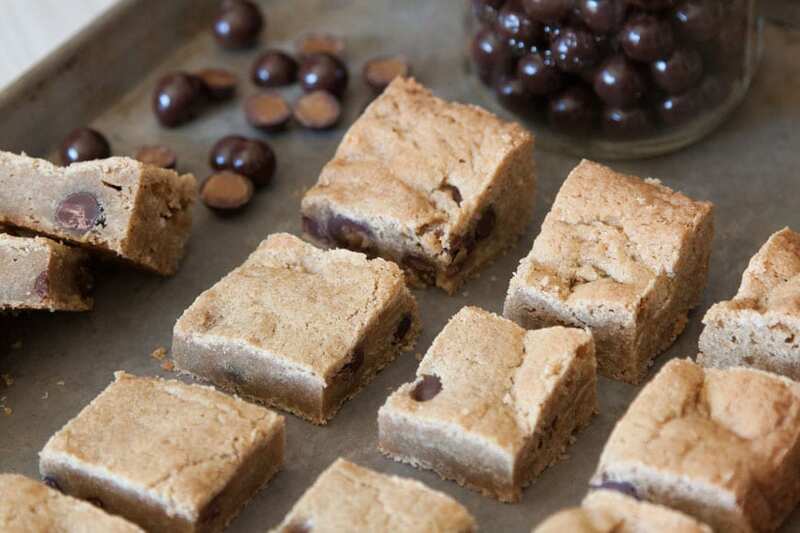 Yummy, but no chance they will come out in squares to serve to others. Looks like we will eat this with a spoon! Could you use already made Carmel DiP? I was in a pinch and made this recipe using Trader Joe’s salted caramel sauce and they were DELICIOUS! So so good. I’m making them again this weekend and I will make as directed. I’m sure they’ll be even better.